Clan Line chief mechanical engineer wanted to restore and preserve the original tender, if at all possible, and avoid having a to have a new tank built. 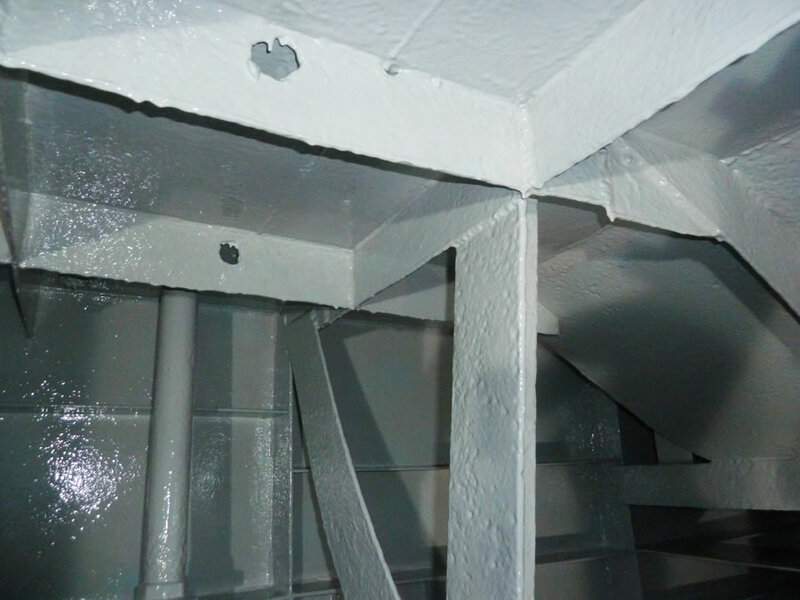 Provide long term anti-corrosion protection. To be flexible within the tender’s water tank moving at 70 mph. Build up wall thickness to compensate for steel loss due to corrosive activity within the tank. 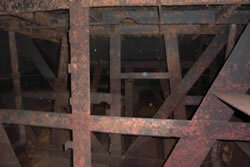 Restore and preserve the existing original tender. 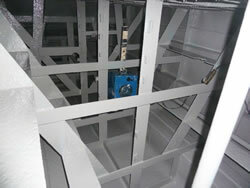 Extend the working life of the tender by 25 – 30 years. 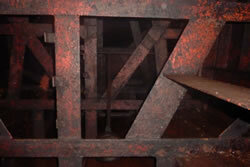 All works was planned were to be completed within a single site visit of four weeks during the January maintenance shutdown. 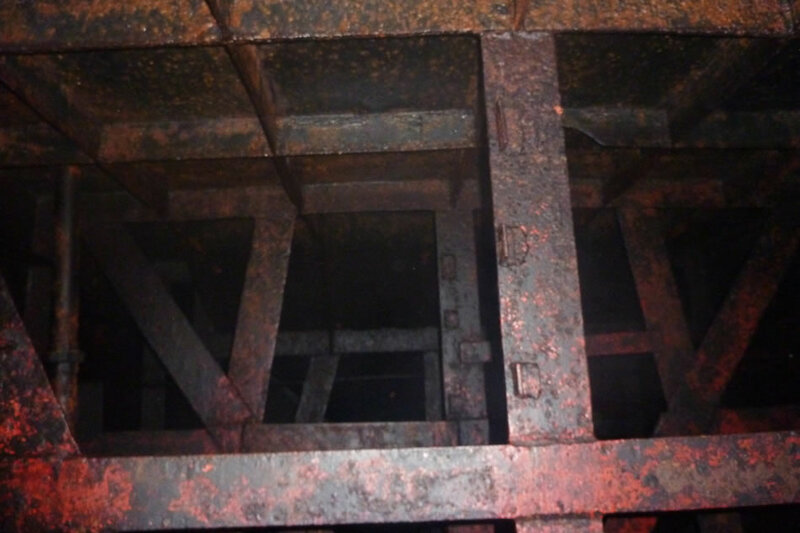 The tank is made from carbon steel and is of a horizontal irregular shaped rectangular design and is with fitted with a complex structure latticework baffles and bracing's. 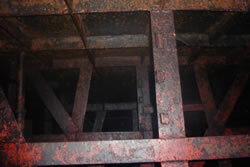 The water within the tank contains chemical water treatment additive/s. 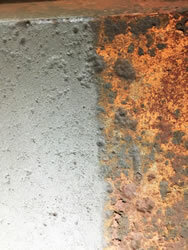 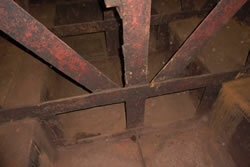 All sections of the tank exhibited considerable corrosion and steel loose/pitting in the tank, especially in the lower 18” of the water tank side walls. 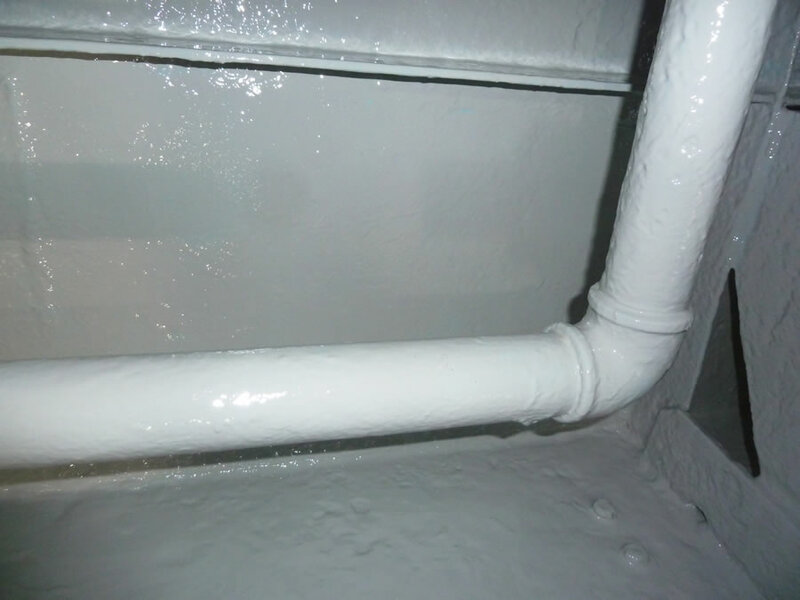 It was required to carry out surface preparation to remove the remaining failed lining, corrosion and to install a long-lasting anti-corrosion tank lining treatment. 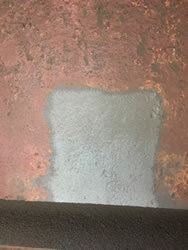 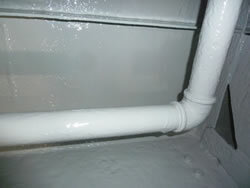 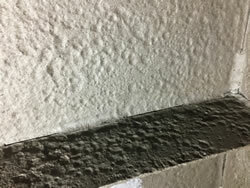 The lining treatment applied that was to applied had to have high anti-corrosion properties, improve strength of steel in areas of steel loss due to corrosive activity, be sufficiently flexible for a water tank moving at 70 mph and to be chemically resistant to the water treatment additives used. 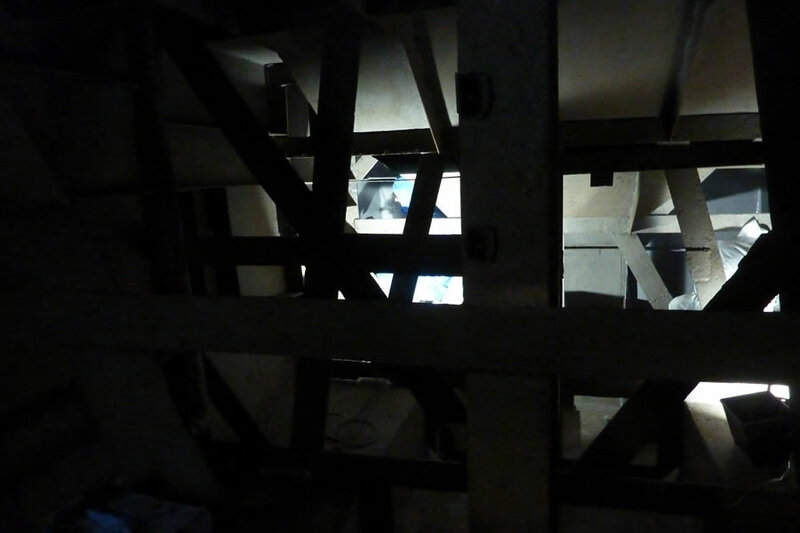 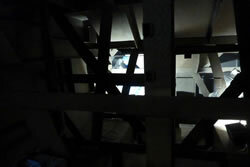 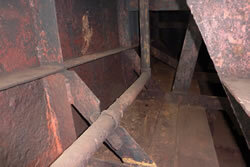 Access into to the tank was limited to two small hatches on the roof at the rear of the tender. 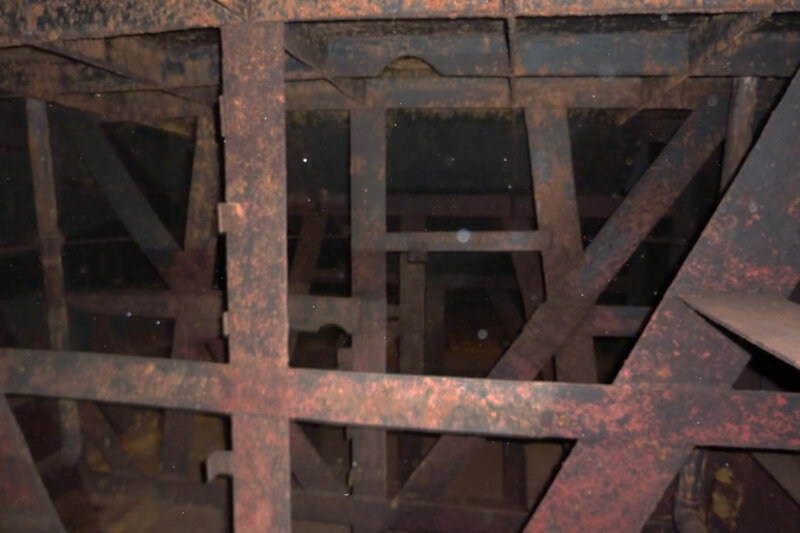 Movement within and around the tank would be difficult because of the complex array of steel braces and stiffeners in the tank that afforded only narrow openings for movement. 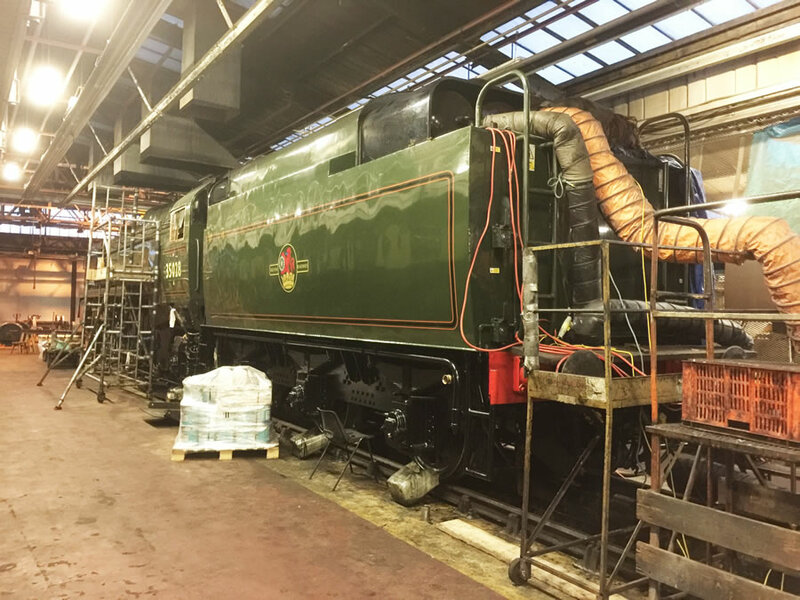 During our works maintenance work on several Pullman coaches would be carried out (roof painting, changing wheels etc) in the same shed and close to where we would be working. The surface preparation would be carried out by means of abrasive grit blasting. The progress on this was slow because there are a great many surfaces to prepare. 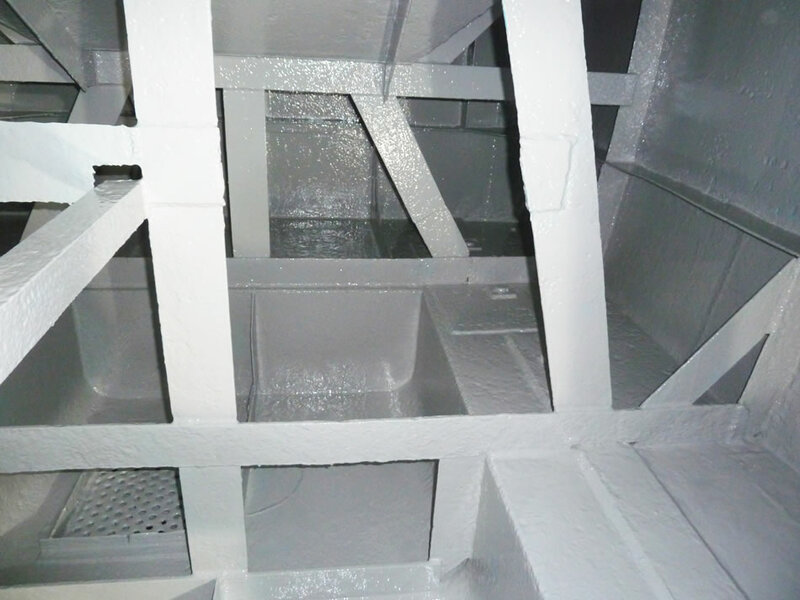 It was also important to maintain the quality of the blast and to avoid rust reforming on the clean prepared steel during the 3 weeks that it took to blast the tank. Although the internal surfaces were very badly corroded indeed and there was a great deal of deep pitting, we did not found anything that we were not expecting and the tender was completely suitable for our restoration system. 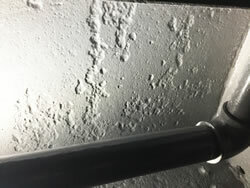 After removing the spent abrasive, cleaned the tank by brush and vacuum ready for application of our tank lining and repair system. 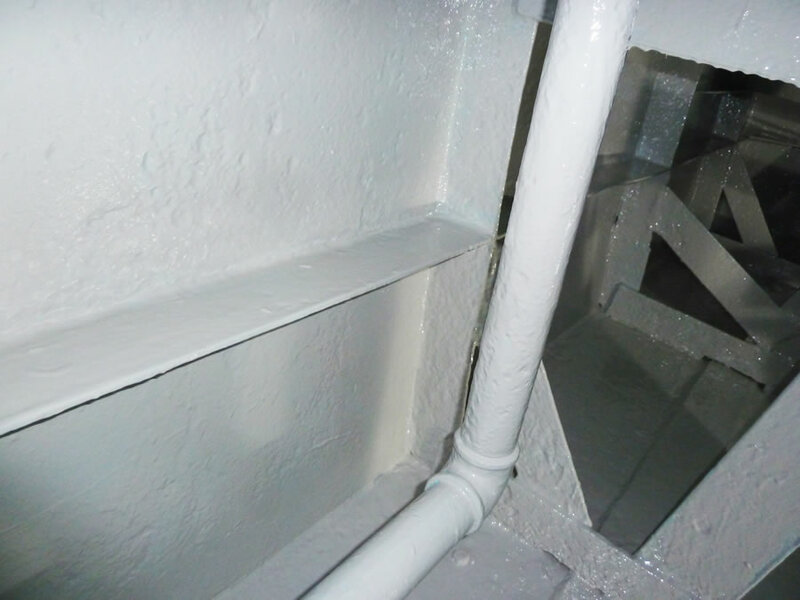 Our water tank lining system comprises of several different resin layers, including a strong anti-corrosion coat followed by coats of an impervious 2 pack, glass flake reinforced epoxy resin-based water tank lining material. 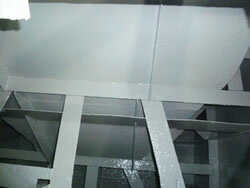 The work was finished in light grey colour. For commercial reasons we are unable to show or detail all the different stages of the process, materials and technologies involved. 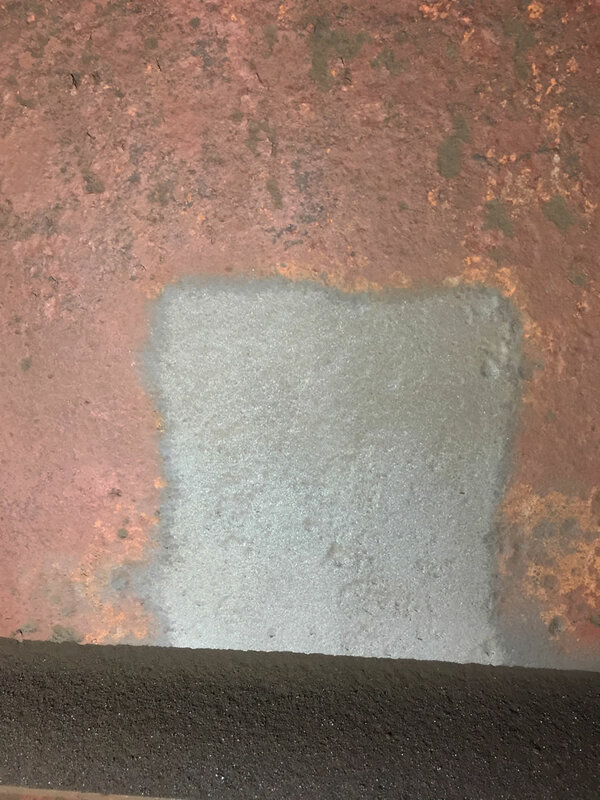 It may be worth a mention that we have not yet found a tank that we have been unable to repair and so far, we have never had a leak with our tank lining and repair system. 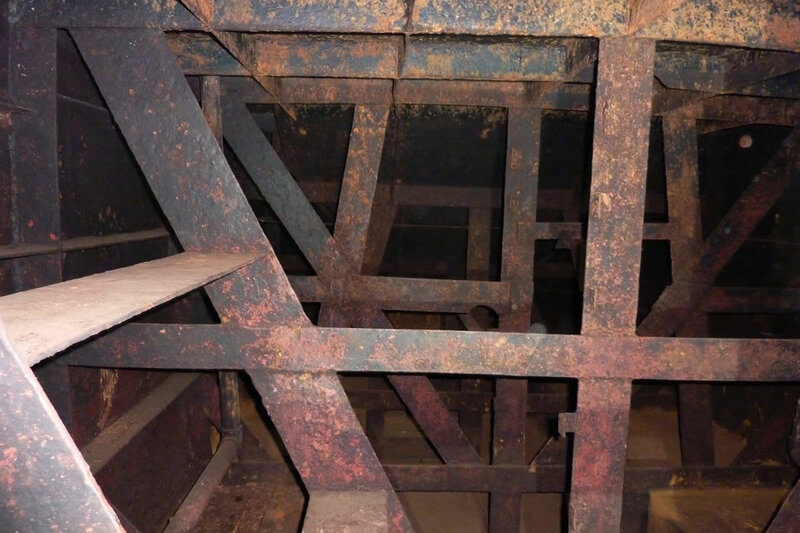 This was certainly amongst one of the most interesting tanks that we have worked on and certainly one of the most complex internal structures that we have worked on. Our strong, yet flexible, anti-corrosion tank lining system will extend the working life of this tank and the tender for many years to come. 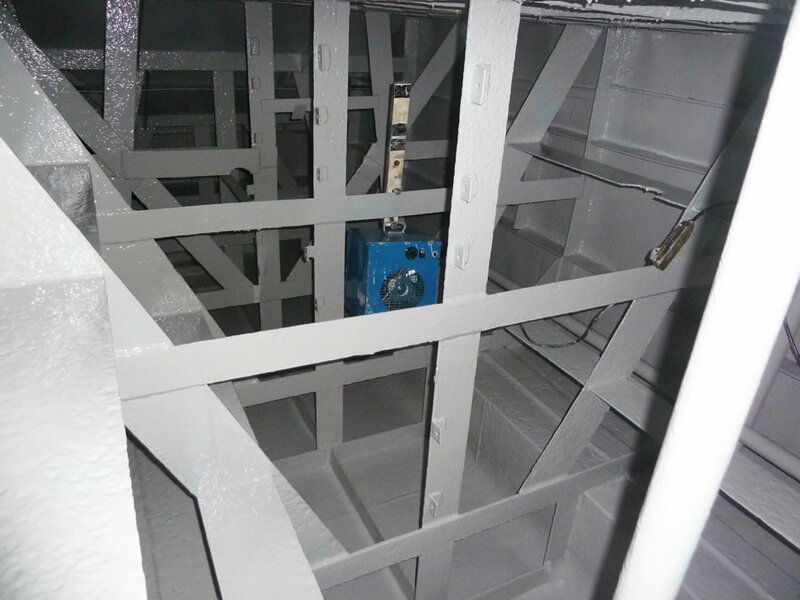 Our work on the tank was completed on time and on budget which avoided the expense, inconvenience and delays of replacing the original tank and having a new tank built. With suitable care this tank should, now last another 30 plus years. 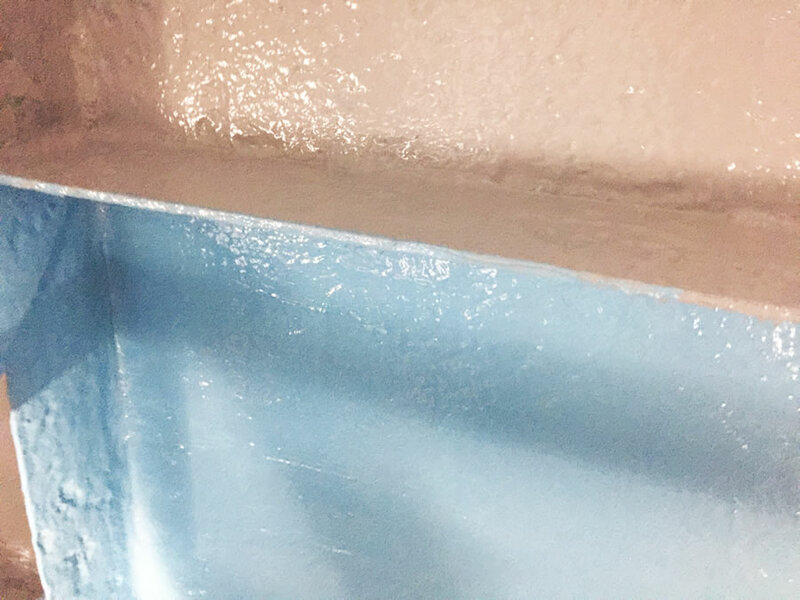 We strongly believe that it is better to, were at all possible, to keep the original historical heritage asset with restoration and preservation, rather than replacing with a new one without any history, character or soul. 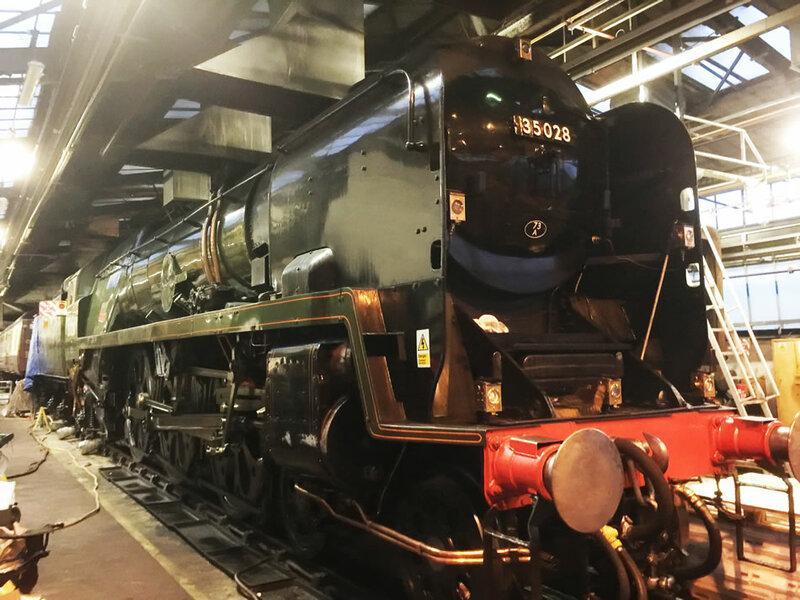 For more information about this wonderful historic steam locomotive, follow this link: https://clan-line.org.uk. 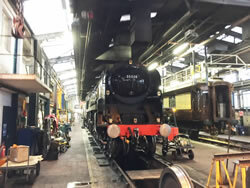 From the Clan Line website news section: https://clan-line.org.uk/news/slane_4/. Specialist Coatings (GB) Limited have been working very hard on the inside of our tender tank, giving it at least another thirty years of active life (more than most of us will have!) They have grit-blasted the interior, including all the bracing struts and baffles, and meticulously applied several coats of epoxy resin. You can see more detail on their own website, www.specialist-coatings.co.uk, and their Facebook page here. We are now preparing for our first steam test, followed by the boiler inspector's "hot exam". 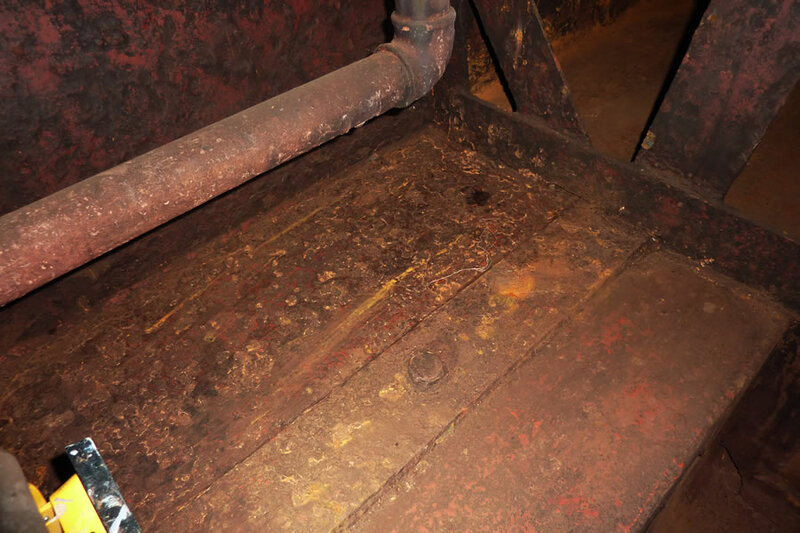 Specialist Coatings (GB) Limited have completed their work treating the inside of our tender tank to give it at least another thirty years of life. 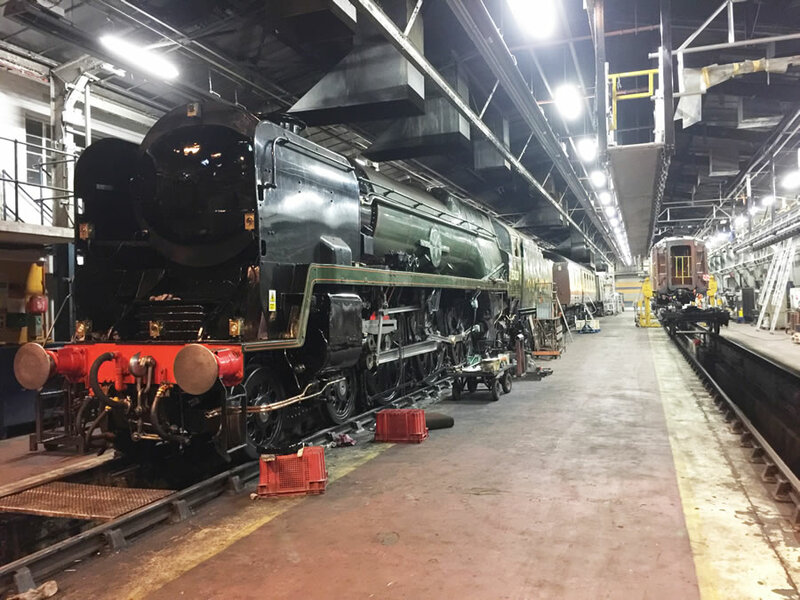 Even though most people most people will never see all this work, the results are still very important to the preservation of the locomotive. The difference in the internal appearance is quite spectacular. Videos of Clan Line 35028: Best to turn the sound up on your PC or device. It was a pleasure working on such an important engine. 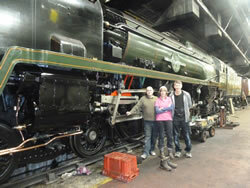 We were made very welcome by the team of dedicated engines who help look after her. This special anti-corrosion lining system can be used to restore the water tanks on all heritage railway steam locomotives and for bulk water storage tanks, bolted sectional Braithwaite tanks etc.. 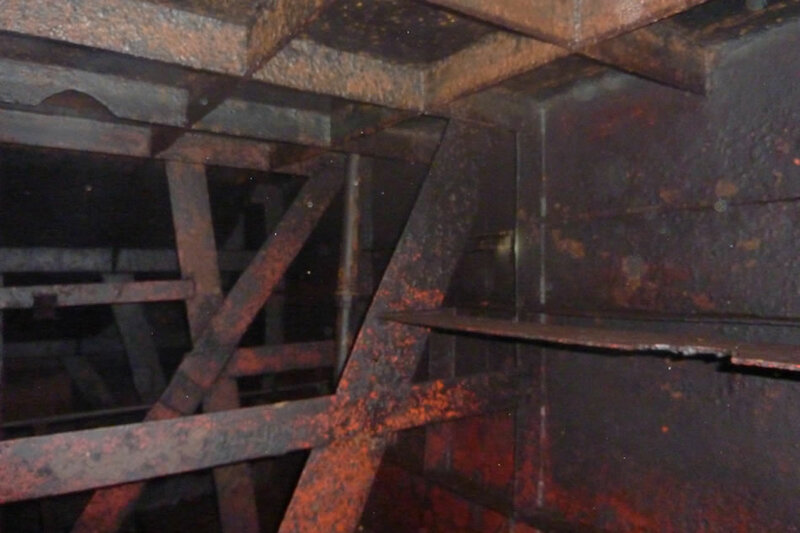 If you have project that you are currently working on or considering in the future and would like general advice on long term corrosion prevention treatments, please contact us. 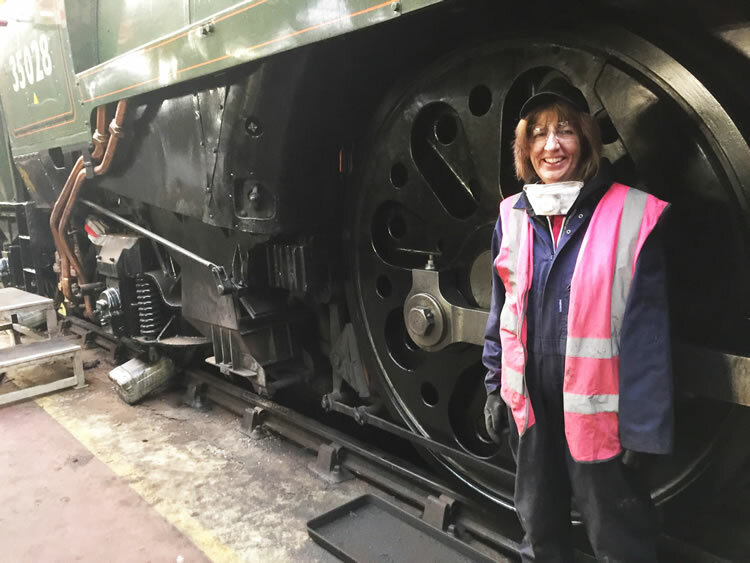 If you belong to a heritage steam railway association or know someone who does and feel this could be benefit to someone, please feel to share it or contact us.